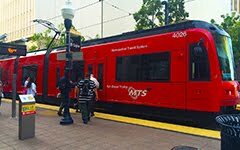 Transit San Diego: ""30 years ago, 8 in 10 American 18-year-olds had a driver's license. Today, it's 6 in 10." Maybe functional transit would be safer than Twitter?!"